Several times I’ve been asked by family, friends, and strangers on how I did this, what I use for that, and where do I get it from. Blogs entitled “What Makes Me, Me!” will feature various items that I use on the daily that I absolutely love! Enjoy and be gorgeous! I have very long hair so I like to have easy curls/waves to give my hair some extra volume. Who doesn’t love BIG hair?! 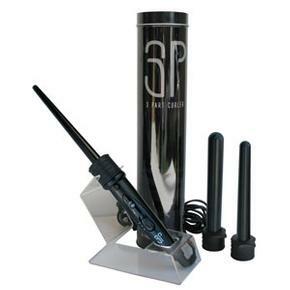 The HerStyler 3P curler set is clamp less and used like a wand. You start at the roots and wrap your hair around the barrel and hold at the end. For beginners, use the the glove! (WARNING: These barrels get smoking hot and I’ve burned layers of skin when I first started. Cover up!) The set comes in 3 sizes, which I’ve used all! See below. You can get the HerStyler 3P curlers off their site for $250.00. However, if you look on Amazon, they are being sold for around $40-50. I’ve had friends buy from Aamzon and I’ve compared the curlers and they work exactly the same! Happy Curling! 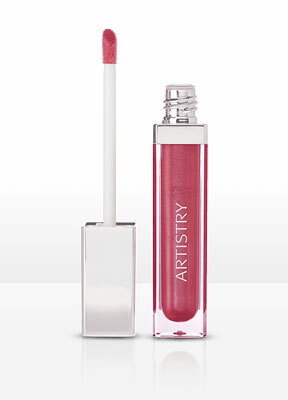 I absolutely am addicted to the Artistry Light-up Lipglosses. The gloss has a light-up applicator with a side mirror. The gloss itself is a shiny sheer gloss with a minty tingle on your lips. They come in 3 shades: Passion, Champange (my personal favorite), and Glitz. There’s no reason you can’t still look fabulous in the dark! Each time I apply a coat in the clubs, the bars, restaurants, or the subway, it’s become a great topic of discussion. These lipglosses are available for $15.30 each at Nietes International. Below are photos I took with all 3 shades. Great tips! Need to look for that lipgloss. Hi Nicole! No need to look any further, you can by them here!